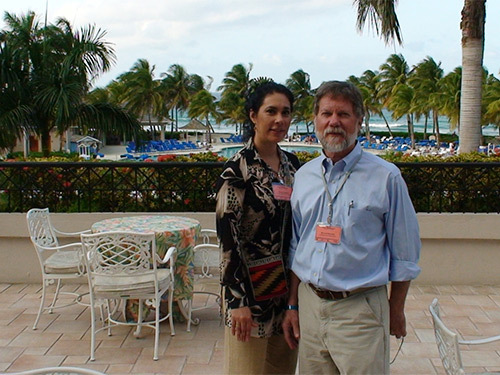 During the past 22 years Yndiana Montes has worked in numerous activities, including participation in trade fairs, conferences, media and regional tourism companies in order to make known to all of South America and Brazil, natural beauty and good practices the different actors in the Caribbean tourism industry. Sustainability actions of governments, communities, institutions and organizations are outlined here in Solocaribe.com, a media outlet serving the tourism industry, which for many years has been a pioneer in spreading throughout Latin America, Brazil and the Caribbean Likewise, the positive actions that take place in the region and promote sustainable development practices. I work as travel trade journalist in Germany for fvw.de. We do an article about Jamaica. In it we want to mention the great program MEET THE PEOPLE in Jamaica. Or does it belong to Visit Jamaica? SoloCaribe, Inc. Copyright © 2016.